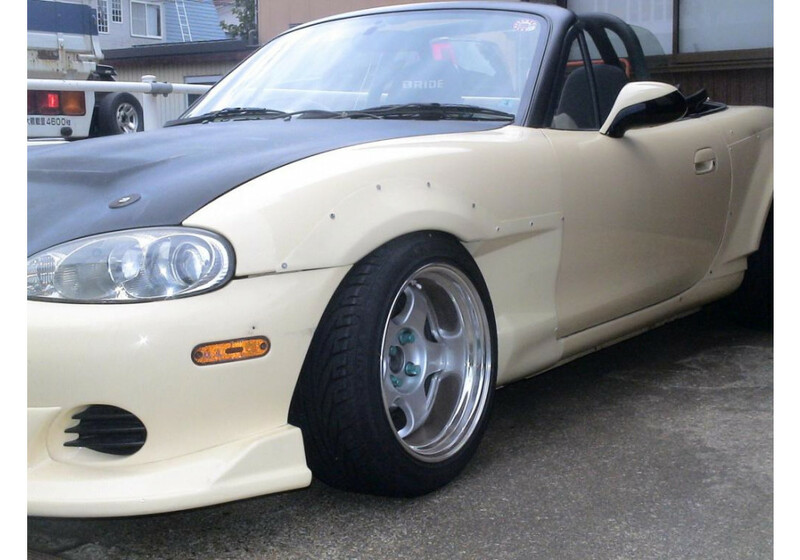 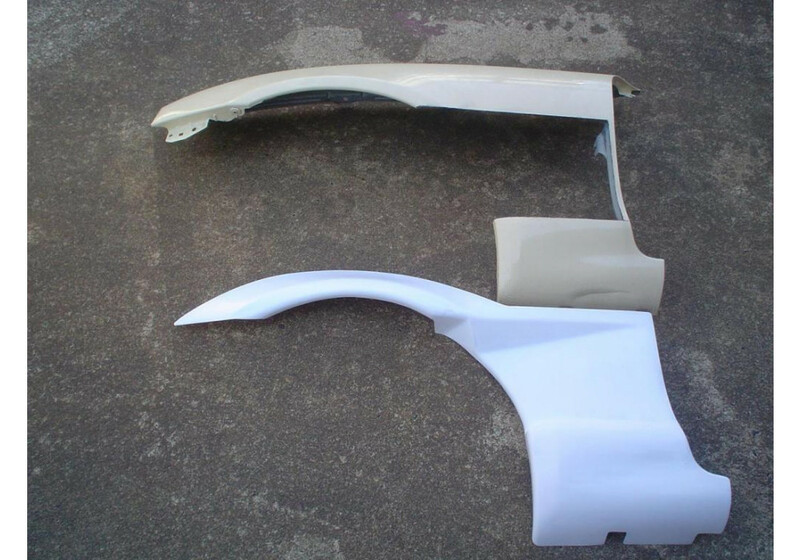 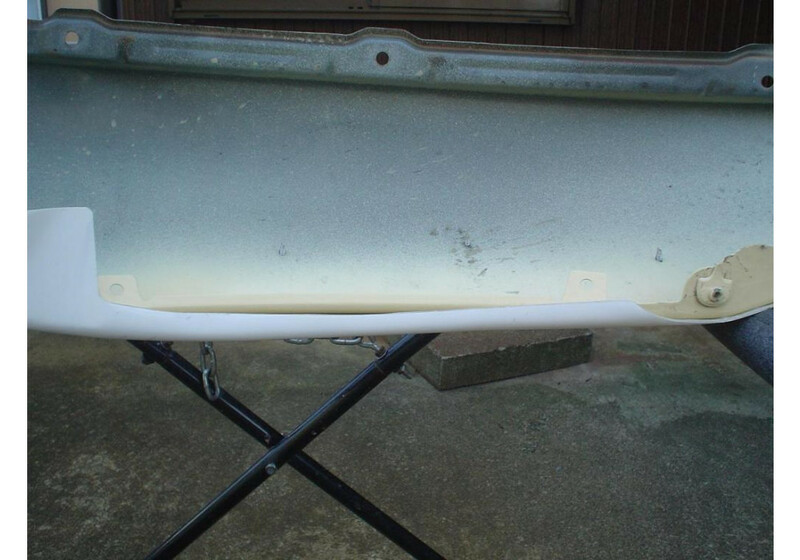 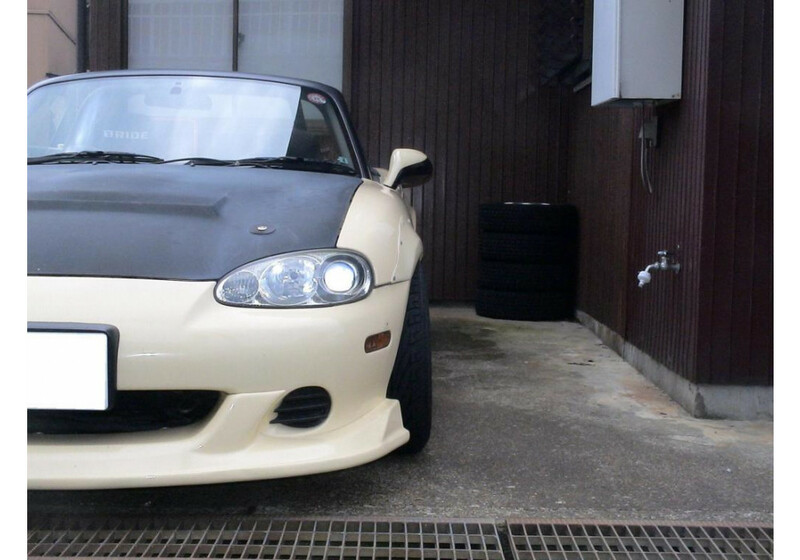 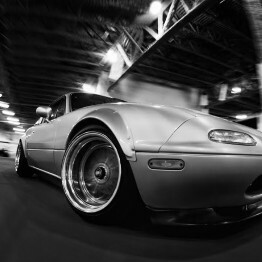 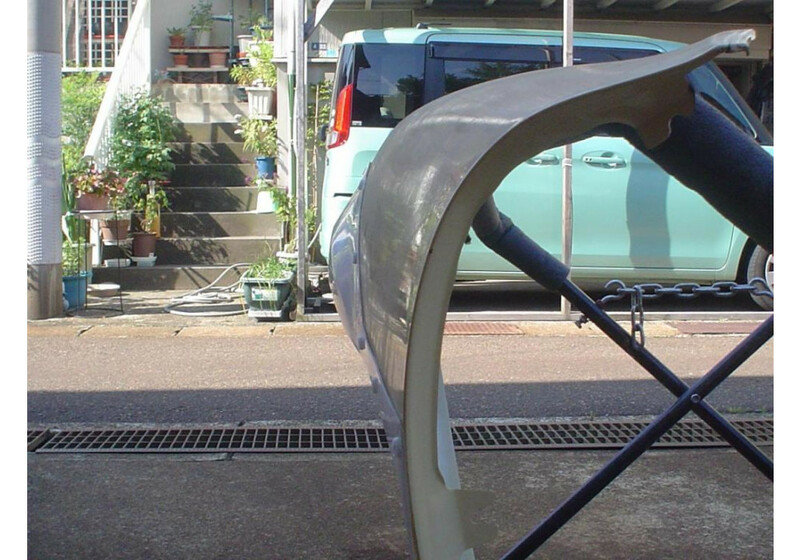 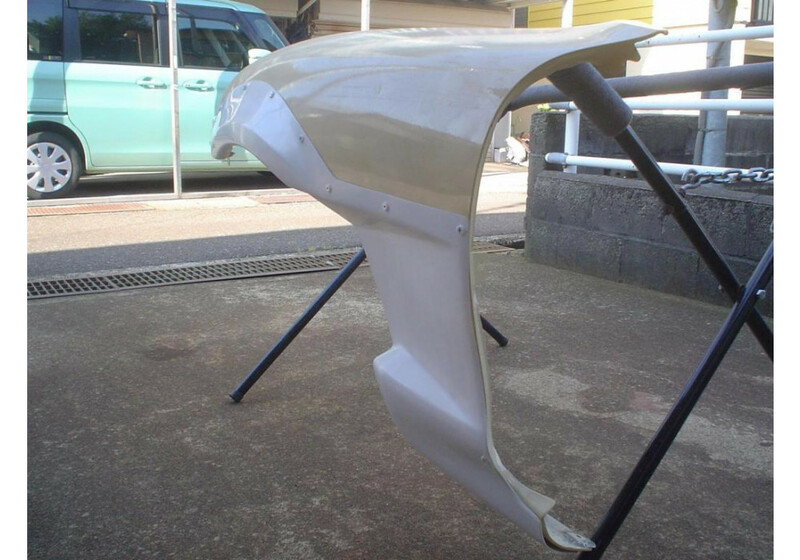 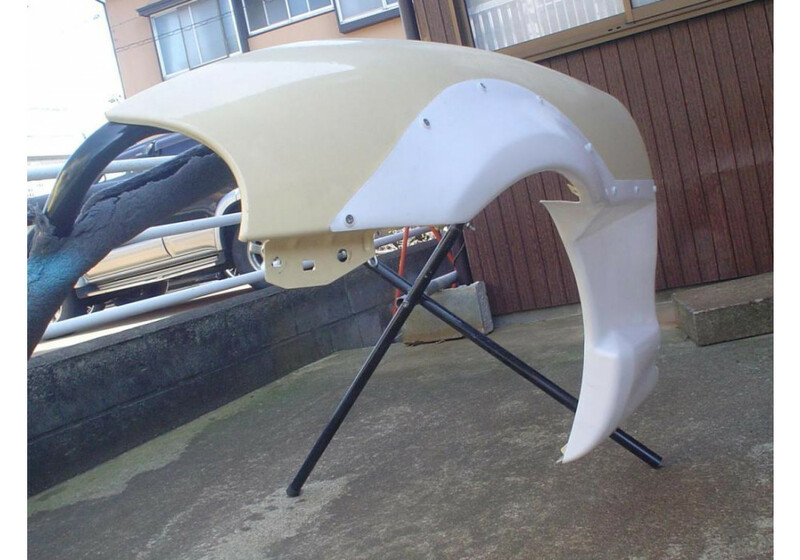 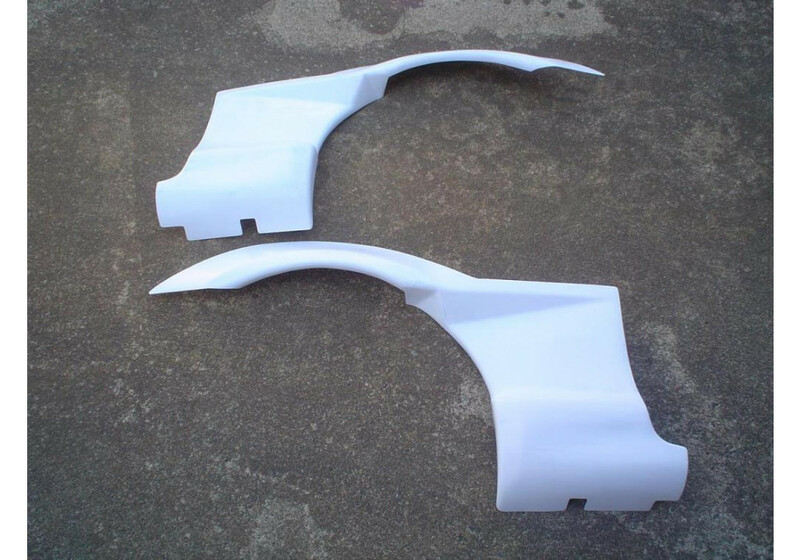 Fender flares made by NUE in Japan for the 1998-2005 NB MX-5 Miata. 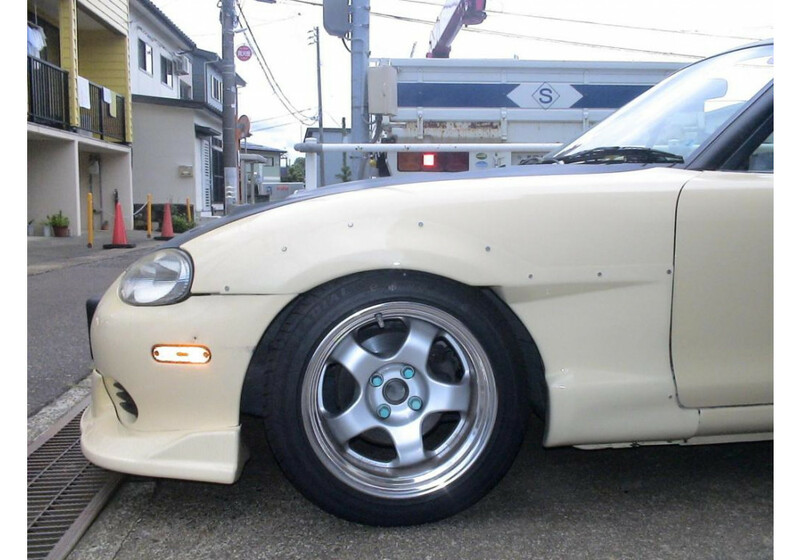 It provides an extra 15mm clearance on each side to be able to run bigger wheels and tires. 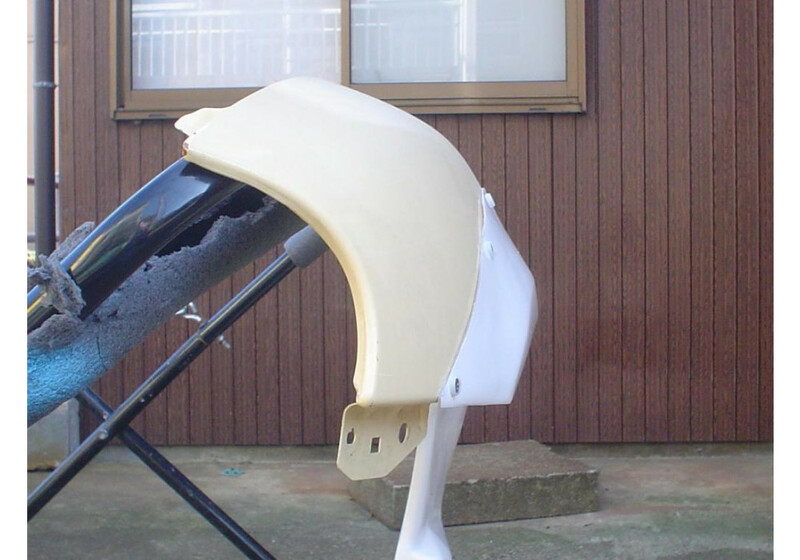 The installation of these fenders require cutting a specific shape into the OEM fenders (see pictures). 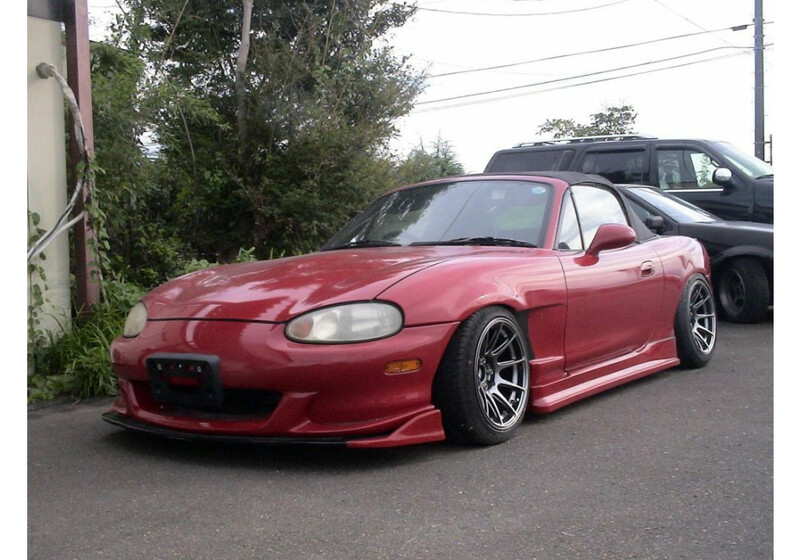 Please note that the red NB has the fenders molded for a cleaner look, but it’s not a necessary process, they can be installed with screws. 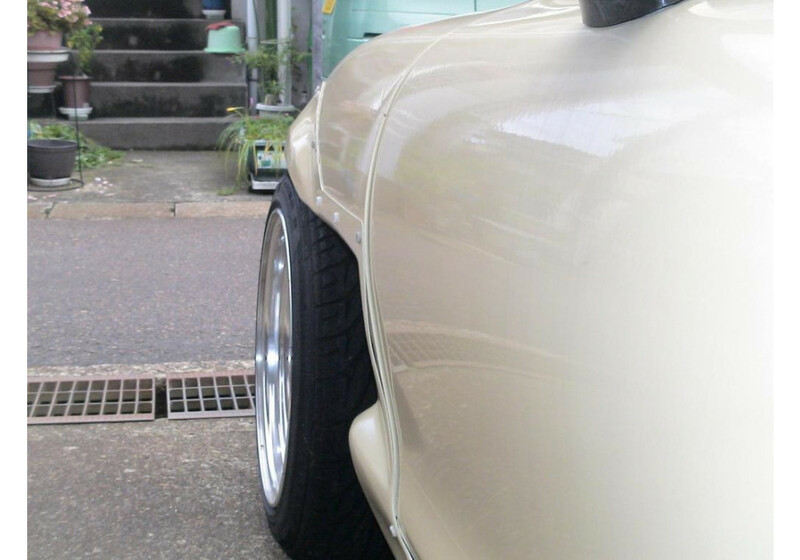 Wheels shown on the yellow NB are 15x8.5 -8, but it's meant to fit 15x8 +0. 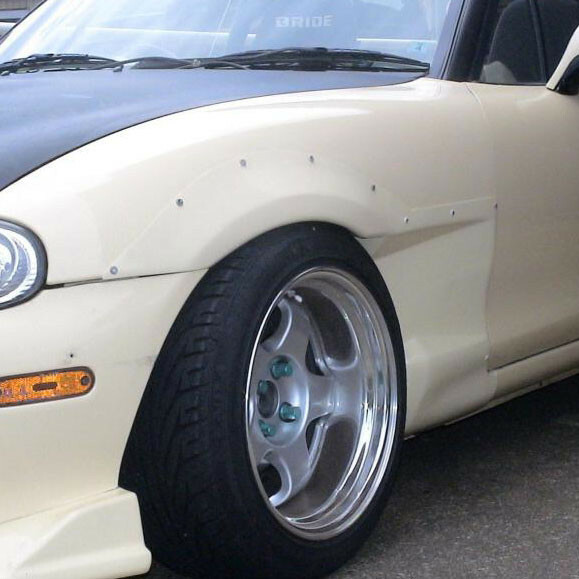 NUE Hollow Fender Extensions should be ordered at REV9 Autosport https://rev9autosport.com/nue-hollow-fender-extensions.html as they provide the best service and speed we've seen so far!